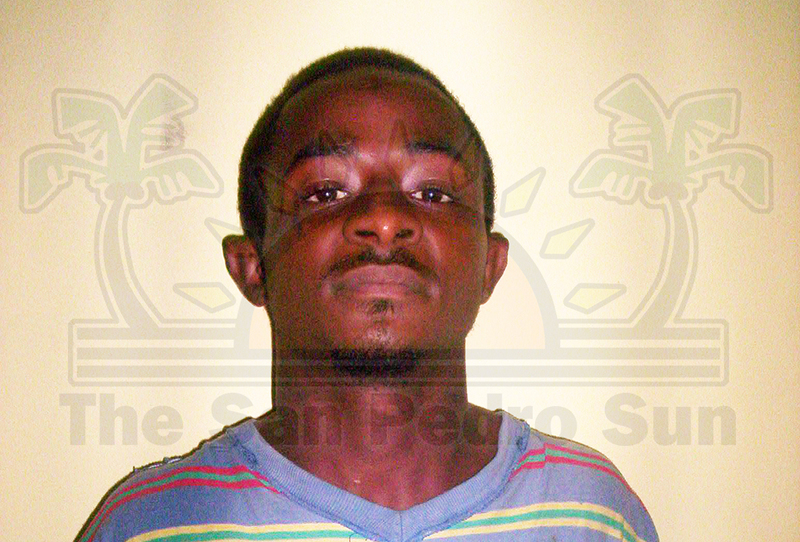 Police on Ambergris Caye charged one man for murder on May 23, 2013. 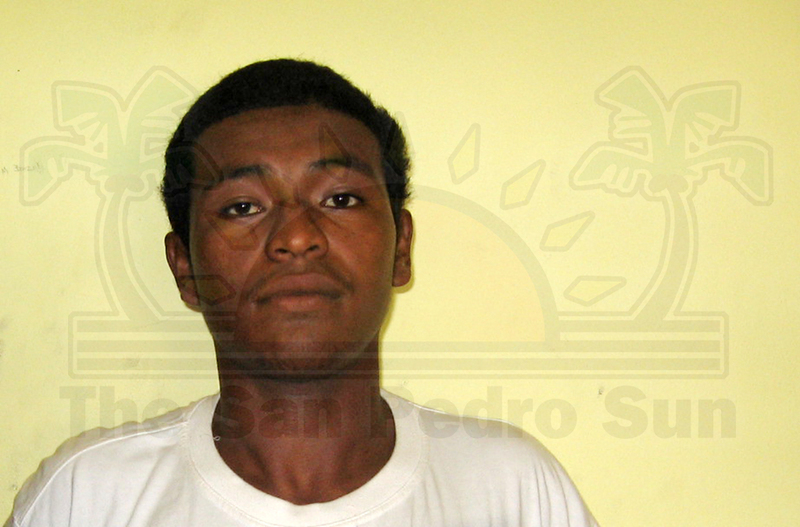 He is 23 year old Lucio Salazar, a fisherman of a San Juan Area address in San Pedro Town. The charges arose from an investigation that was launched following several reports gathered by police that 25 year old Jeremy Baptist was shot and his body disposed of. It’s a strange case and one of the few such case seen in Belize in which police has brought murder charges against someone without having a body. 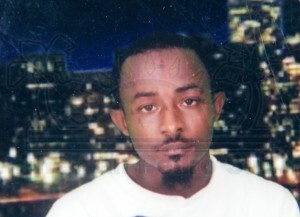 According to Superintendent of Police Luis Castellaños, sometime on Monday May 20th, they received a missing person report and following an investigation, they received several reports that Baptist was in fact murdered and not missing. 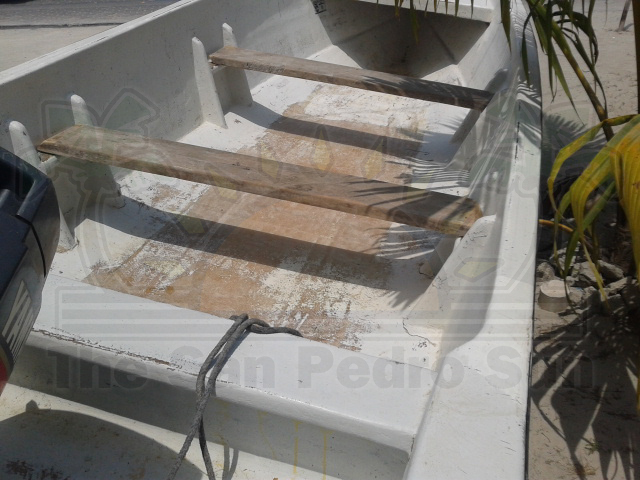 Castallaños explained that investigation so far suggest that Baptist was at a function at the residence of 49 year old Peter Moses Campos in the San Juan area of San Pedro Town when he was apparently shot, killed and his body transported in a boat. Police say the body has not been found. In an interview with the media, Baptist’s common law wife Denisha Valerio explained that the two were at the Campos residence where they had been invited to a christening reception earlier the night. “We both went to the christening together at about 8:30 on Sunday night (May19th). He didn’t want to go because he said he was not feeling good but we made up our mind and bought a gift and ended up going to the party. At about 10:30 that night he indicated that he was not ready to go home but he ended bring me and my baby home. He kissed the baby and said he would be back by midnight,” said Valerio. Little did she know that it was the last time she would have seen Baptist alive. Valerio said that it was not until the following day she learnt, from rumors on the street, that her common law husband was killed. Superintendent Castellanos said that based on information gathered they began an investigation. “An investigation was conducted and revealed that sometime around 1:15am on Monday May 20th, Jeremy Baptist got into an altercation at the Campos residence with a group of males. During the altercation, he was reportedly shot multiple times and was taken up the lagoon in a boat and was disposed of by the group of male persons. 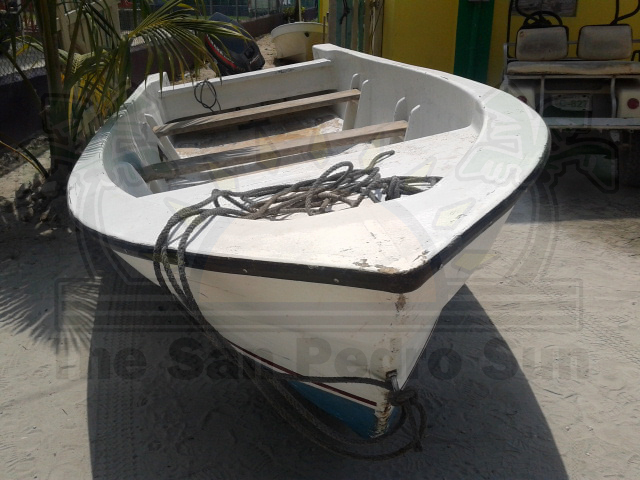 However, several checks were made up the river and on the coast on Ambergris Caye and the body has not yet been found,” indicated police. During the investigation, police detained and questioned a number of people. In addition, police gathered several reports from “witnesses” who were at the function and saw the incident unfold. Evidence gathered so far indicates that Baptist was reportedly shot four times, of which there was to his head. Police also recovered a boat, namely Tani, belonging to the Salazar, with substance appearing to be blood on the vessel. Neither expended shells nor a gun have been recovered. But all that is just circumstantial evidence as the body has not been found despite days of search operations. When asked by the media to explain why murder charges have been placed on Salazar, Superintendent Castellaños indicated that the Office of the Director of Public Prosecution found enough evidence to charge the accused. “We got several reports including that of the complainant. We received information from several witnesses that he was shot and murdered. We also received information that he was taken in a boat by the accused and others after he was apparently killed. We have a vessel, belonging to the accused with what appears to be blood and we got further directives from the DPP on how to proceed,” explained Castellaños. While Lucio has been formally charged for murder, police indicated that “others may be charged,” as the investigation continues. And while police investigation continues, the grieving family wants some closure. “All we want is his body. We want to be able to give him a proper burial. He is not an animal, he has a family, and he has people that love him. We just want to know where his body is and we will go for it personally. We will allow the police to have justice be served but all we want is his body,” said Valerio in tears during an interview. Baptist’s family says that they are confused as to what may have led to incident since they are very close friends with the Campos family. According to police, the investigation is ongoing as they believe that others who allegedly assisted in transporting Baptist may be charged. Both Baptist and Salazar are known to police has they both had several run-ins with the law. The San Pedro Sun notes that this is the first time, as far as our investigations reveal, that a person has been charged in Belize in the absence of a body in San Pedro. 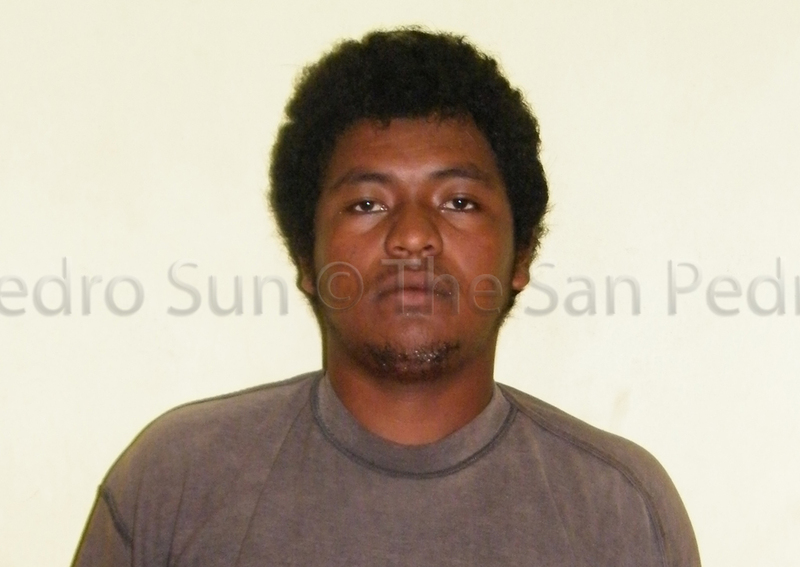 Salazar was taken before the San Pedro Magistrate court before Magistrate Sherigne Rodriguez on May 23, 2013. He was read a single charge of murder. Magistrate Rodriguez explained to Salazar that because the case is an indictable case, no plea would be taken. 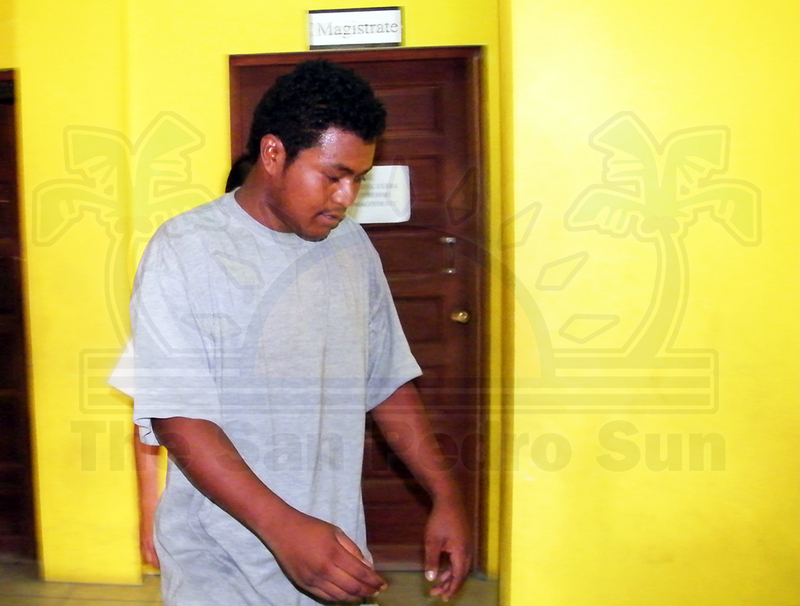 He was remanded to the Belize Central Prison until his next court appearance scheduled for June 26th. Anyone that can assist police with information that can lead to the location of Baptist’s body can call police at 911 or 206-2022.